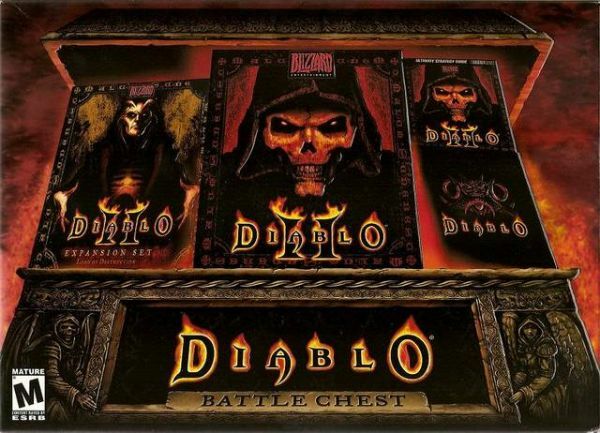 Co-Optimus - News - Diablo 1 and 2 Battle Chest is 50% Off - $19.99! While waiting for Diablo 3 to be released next year...or the year after...you might want to crack out your old Diablo or Diablo 2 discs for some good ol' fashioned co-op gaming. Perhaps a friend never returned them, or you are in need of another copy for some late night co-op sessions with the family. Amazon is running a killer deal right now on the Blizzard's various battle chests. You get both Diablo 1 and Diablo 2 as well as the Lord of Destruction Expansion for Diablo 2. Packed in with all that goodness is a Diablo 2 strategy guide and you'll be ready to take on the hordes of hell with your friends. The pack works on both Mac and PC, and there's also chests for Starcraft and Warcraft for the same price. The pack usually retails for $39.99 but Amazon has their Deal of the Day today with the Battle Chest for only $19.99. The deal expires midnight tonight! Page created in 0.3118 seconds.